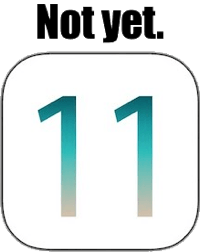 UPDATE December 2nd 2017: Apple released iOS version 11.2 today. It fixes yet another auto-correct issue (this one turns “it” into “I.T.”), and it also fixes a problem that caused iOS devices to reboot continually if the date was December 2nd, 2017 or later. Yes, it would have been nice to get this update out before December 2nd 2017 arrived. If you have ANY version of iOS 11 on your iPhone, hurry up and update to iOS 11.2. UPDATE November 9th, 2017: Apple released version 11.1.1 to address the weird “type the letter I and get an A and a box” bug. This update does not fix the calculator bug and it does not add Person to Person Apple Pay. However, the bug that it fixes is a real annoyance, so If your iPhone or iPad is on 11.0, 11.0.1, 11.0.2, 11.0.3, or 11.1, go get the 11.1.1 update. Settings/General/Software Update. Otherwise, wait for 11.2. The iPhone 8 runs on iOS 11, so Apple had to finish iOS 11 a little before the iPhone 8 went on sale (because they had to install it on all those iPhones before putting them into their boxes). 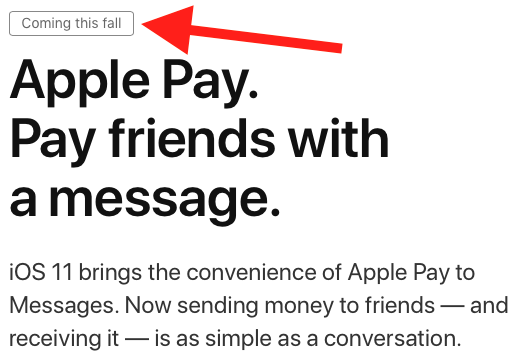 Actually, “finish” is the wrong word– Apple didn’t “finish” iOS 11 before putting it onto the new iPhones– some features (like Person to Person Apple Pay) weren’t ready to go in time, so they were simply “walled off” and iOS 11 was shipped without them. 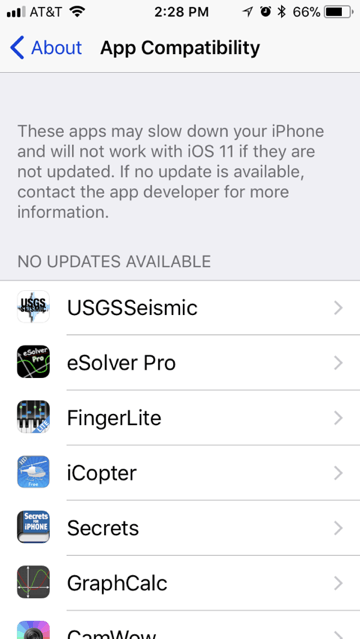 Apple will eventually provide the missing features in incremental updates. My advice: wait to install iOS 11 until all of the features are present. Sounds like a great feature… but it’s not in iOS 11 yet. The calculator doesn’t work properly unless you go very slowly. Still broken as of 11.0.3. 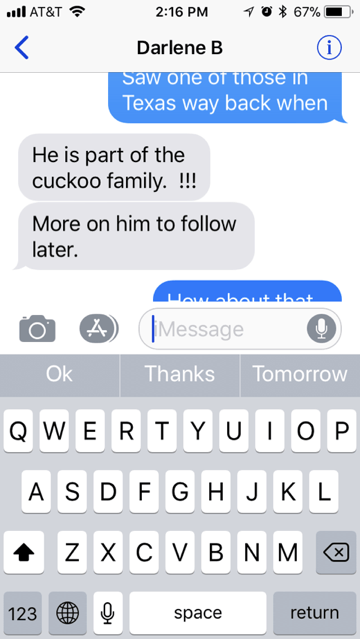 Text messages don’t scroll properly. The keyboard often covers the last message, so you can’t see what you’re replying to. Still broken as of 11.0.3. 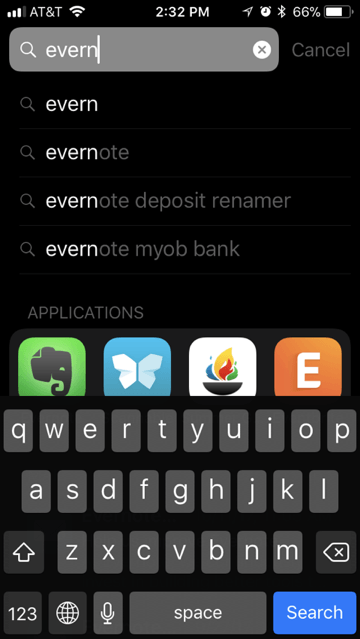 The keyboard covers the names of apps in Spotlight searches. Still broken as of 11.0.3. The interface is sluggish and sometimes doesn’t work right. 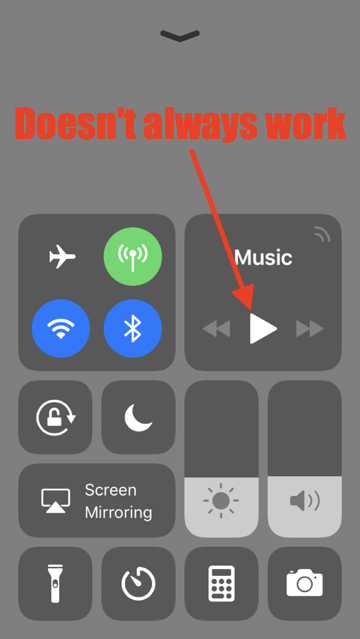 For example, the revamped Control Center (swipe up from the bottom) responds to taps on the “Play/Pause” button only about one in four times. (It’s ugly too.) Still broken as of 11.0.3. The battery drains super-fast. Still broken as of 11.0.3 (ask my sister). Bugs! Missing features! Incompatibilities! That’s a lot of issues. More than I remember with other iOS versions (and I’ve used them all). To me, iOS 11 feels rushed, a little bit rough, and even though it has a whole lot of new features I don’t think those features are worth the trouble just yet. If I were you I’d wait for iOS 11.1. Obviously, tapping “Install Now” installs it now. You probably think tapping “Later” will get you off the hook for a while… but that’s not how it works. 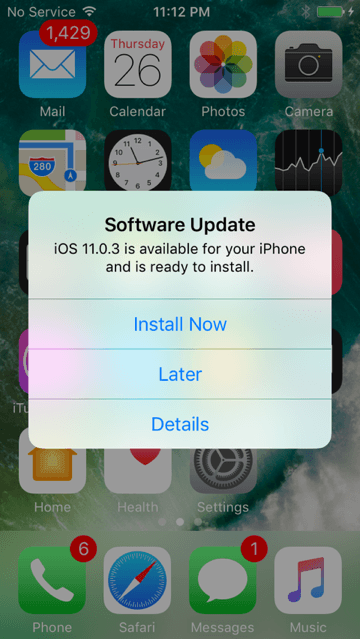 Tapping “Later” leads to a dialog box that says “Install Tonight” and if you accidentally touch that, Apple will install iOS 11 automatically between 2 and 4 am that night, assuming your iPhone is plugged in and connected to the internet at that time. The better move is to tap “Details.” That’s safe. Avoid tapping “Later” so you don’t accidentally agree to install it by mistake. Your cousin agrees with your sister….battery draining way too fast. Have to stay in Low-Power mode when away from home. Also, now both ipad and iphone have become fussy about which way the charger is plugged into phone.